Since leaving TVB in 2017 and signing with Shaw Brothers, Bosco Wong (黃宗澤) has been steadily developing his career in both Hong Kong and Mainland China. Receiving more opportunities to film movies and dramas, the 38-year-old’s income has increased immensely. Other than his acting career, Bosco is also a successful businessman. Aside from investing in an entertainment agency and seafood restaurant business, he has been buying real estate properties as well. 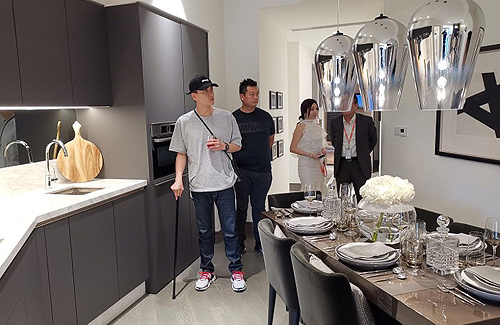 Already owning properties in Hong Kong, Bosco was spotted seeking to expand his property investments in Malaysia recently. Known to be a filial son, Bosco also bought a home in Malaysia for his mom to live in when travelling there.